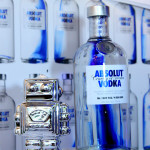 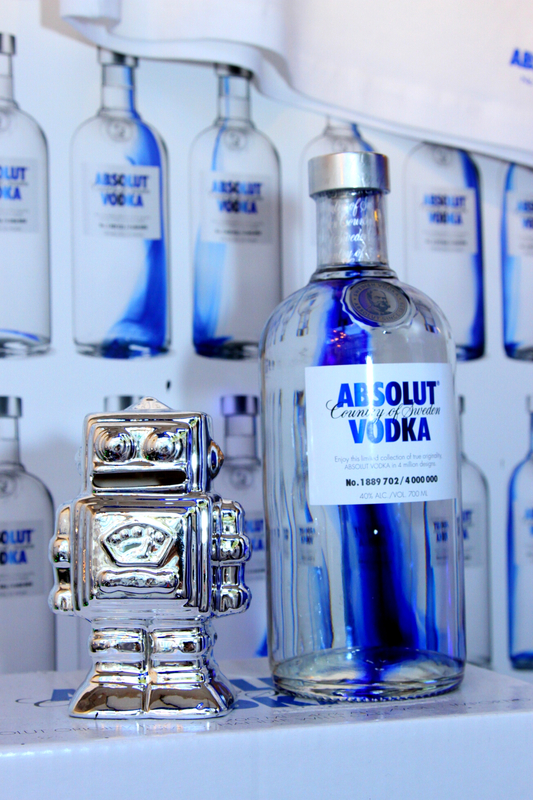 To launch their 2013 limited edition – where every bottle is individual and unique – Absolut Vodka teamed up with Robots in Architecture to create an interactive robot graffiti installation that is now going on tour. 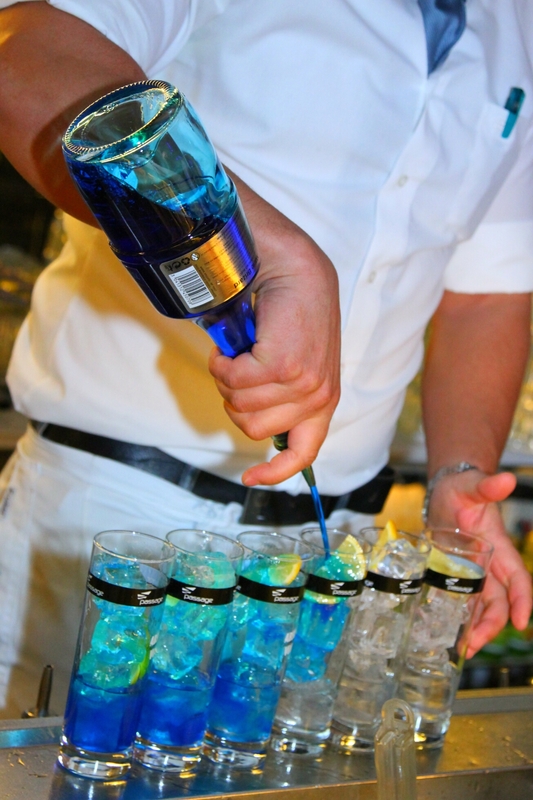 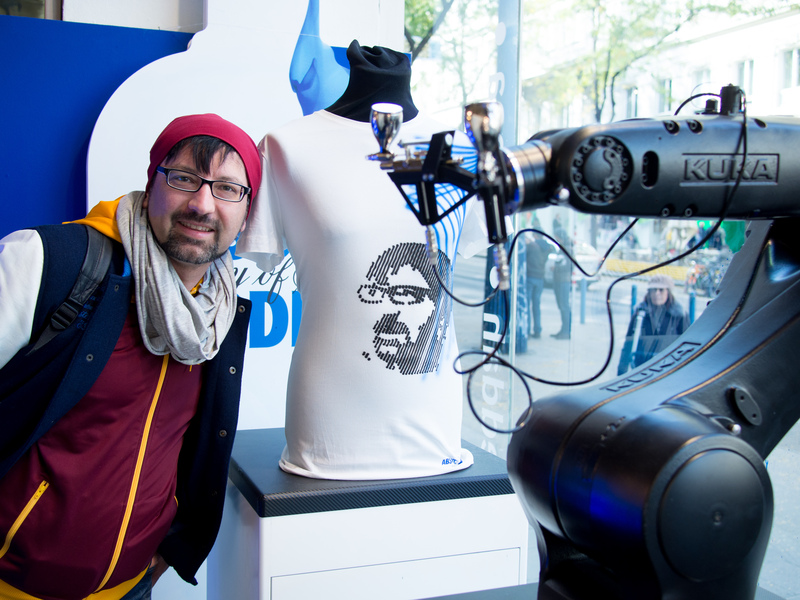 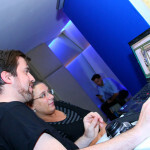 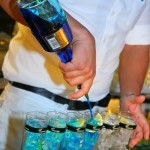 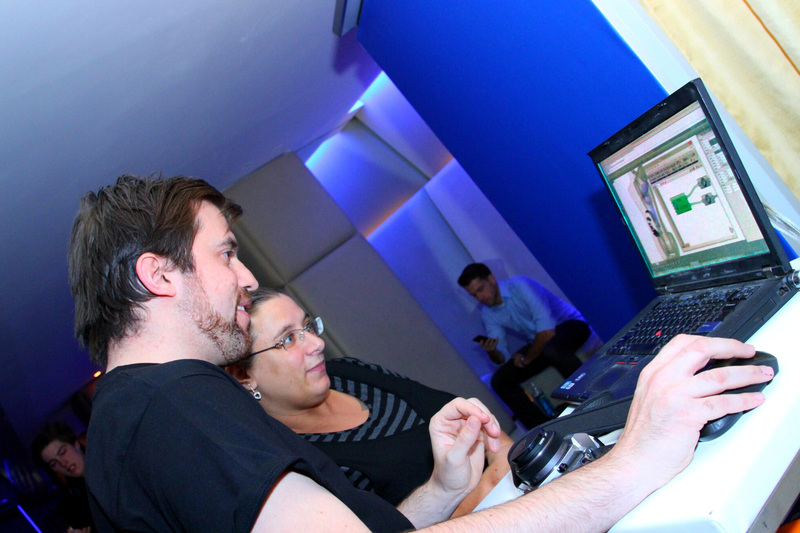 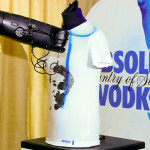 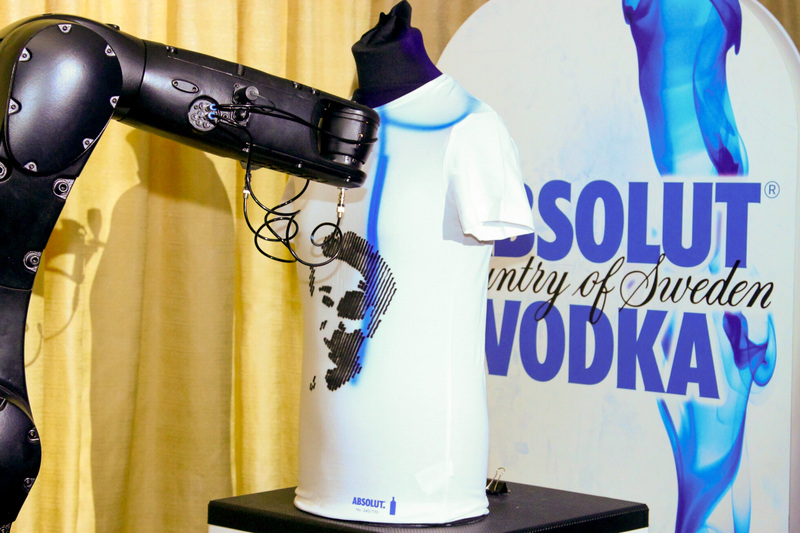 Every t-shirt is personalized to be as individual as its owner, with a dash of (Absolut) blue. 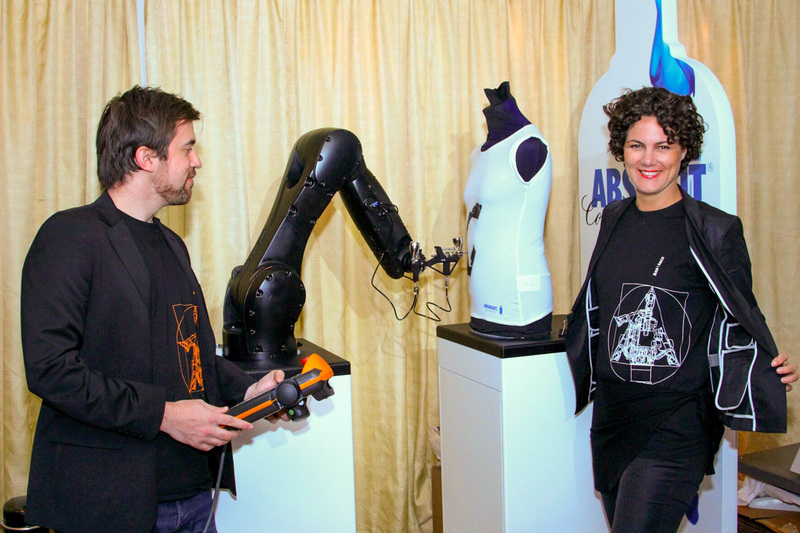 Supported by KUKA with a black KUKA Agilus robot and realized using KUKA|prc.